Case in point Course #7 'Khichdi', where Chef Himanshu Saini attempts to carefully place individual ingredients from various states of India into a simmering pot of khichdi on your table. The resulting dish is an explosion of flavours, without altering the underlying comfort that a plate of warm khichdi should evoke. A few dishes such as Course #5 'Gujarati Farsan' may be polarizing, where we were served Khandvi Ice Cream along with Gujarati staples such as Khandvi, Fafda, and Marchu. My entire timeline went gaga over the combination, but I for one wasn't a fan. My favourite out of the nine courses was Course #8 Sadhya - a bridge between sweet and savoury. The coconut payasam provided the sweetness whereas the mango pickle and popadums provided a savoury relief. Close you're eyes and you imagine you're towards the end of devouring a traditional Kerala feast. 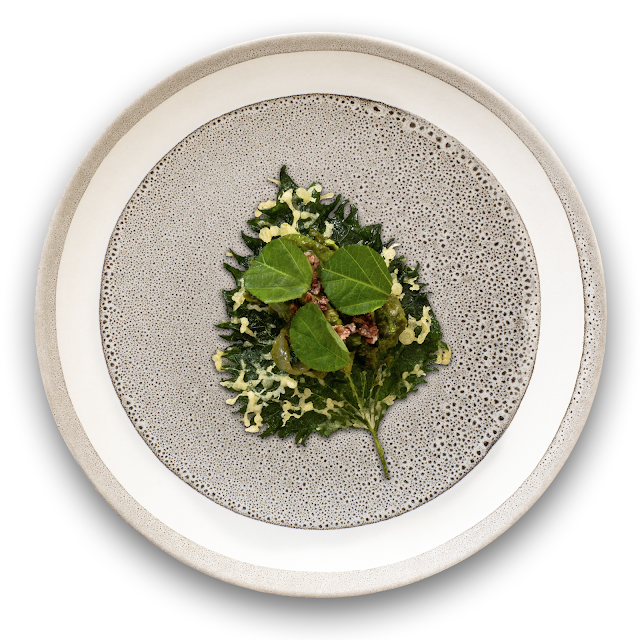 Tresind is here to stay with it's classic décor (no children policy FYI), and their exceptional chef's tasting menu (a la carte options only available at lunch). Sure, parallels with Indian Accent will be drawn (Chef Himanshu has worked under Chef Manish Mehrotra), but Tresind is here to carve an identity of their own. What works in their favour strongly is their price point - Rs 1800 ++ for the vegetarian tasting menu and Rs 2000 ++ for the non vegetarian option - do not think twice! Tresind, Ground Floor, Inspire BKC, G Block, Opposite Asian Heart Hospital, Bandra Kurla Complex. Cannot believe we get an authentic Bohri thal experience in Bandra, and I didn't even know about it! The Tha'l Co has been located off Hill Road, in a bylane since over a year now. It's a bit difficult to locate but Google Maps is pretty precise. The menu for the thal is predecided for the day, and you eat what you're served! (No printed menus here.) No veg options for walk in diners, unless you decide to pre-book your meal. Service is a bit slow, it took almost an hour for us to receive our food, whereas tables around us got their thals in barely 15 minutes! But all was forgiven and forgotten once the food arrived. They serve around four starters, one gravy, one biryani and desserts. The mutton seekh kebabs were full of flavor and melted in the mouth. Their Baida Roti and Foil Chicken were both beautifully prepared as well. The star was surprisingly the Kokum Batetas - mini potatoes cooked in a red paste. 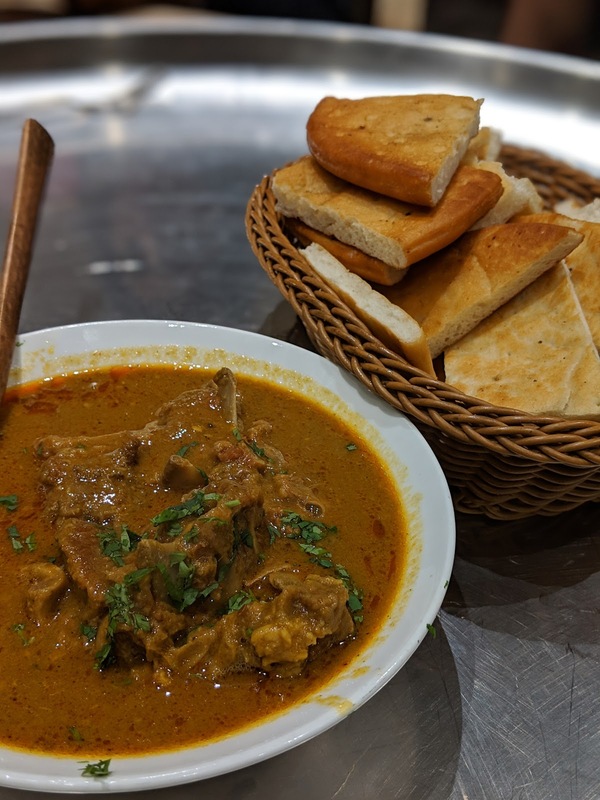 The Mutton Rogan Josh with Pizza Naans was delicious. The meat was well cooked, and the gravy was low on oil, and full of flavor. They even make their ice creams in house via the 'Sancha' method, and is not to be missed. What I loved the best is that they doggy bag-ged the excess food we had wasted for us to take home without us even asking. My only reservation is that they do not alternate between sweet and savoury courses like a traditional Bohri thal. The Tha'l Co, Pooja Apartments, Ground floor, Chinckpokli road, Off Hill Road, Bandra west, Mumbai 400050. Yazu serves as a welcome breath of fresh air in Andheri, as the suburb was severely lacking an upscale, fine dine, Asian restaurant. 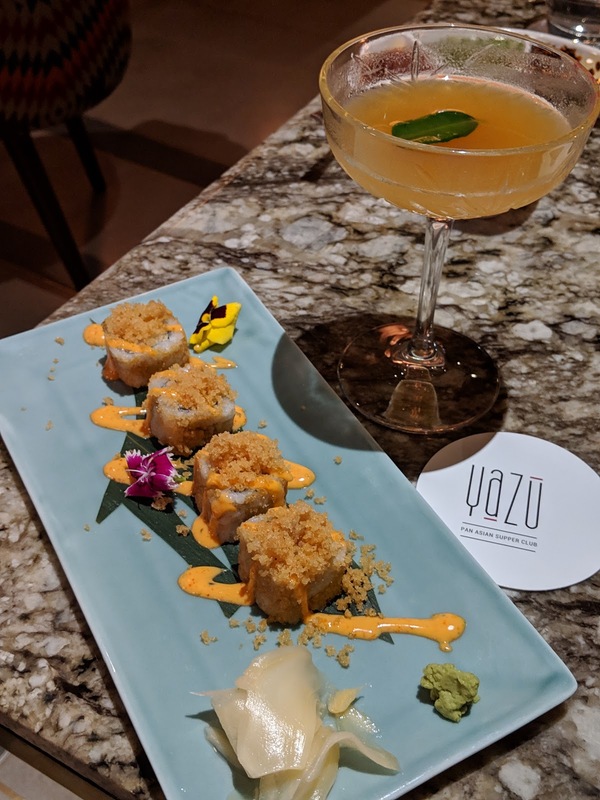 Yazu along with it's impressive collection of sushi, dimsums and mains, and it's elegant classy décor can serve as competition to any of the city's finest Asian restaurants. Not to mention their well stocked bar, along with an innovative cocktail menu. Unfortunately it was a dry day when we visited, so we had to stick to their mocktails. The Refreshing Yazu Taste with cucumber and curry leaves was refreshing but started to taste like 'detox water' towards the end. Most definitely order the 'Thai Angel' - beautiful flavours of kaffir lime and galangal in a drink - it's like Thailand in a glass! We started off with the 'Charcoal Inspired Crispy Pork Cheung Fun' - happiness in a bite! Again I'm not a huge fan of the charcoal trend, but the beautifully cooked pork and the paper thin wrapper stole the show. The Truffle Edamame Dumpling was another star, the edamame was smooth and the truffle oil on top was generous, adding an overall earthiness with each bite. The Char Siew Pork buns were decent - the pork filling could've been a bit more generous. Don't leave without trying their sushi though - we got their signature Ebi Katsu roll. A bit pricey, but one of the finest sushi rolls I've had in this city. For mains, we got the Chicken Claypot which was disappointing owing to the excess salt they had added in the gravy. But the one dish I'd return back to Yazu for is the Chak Hao Rice. This fried rice is made with black rice flown down from Manipur, and is a flavourful and filling meal by itself. We ended up skipping dessert, and taking home sweet memories of that black fried rice. Yazu, 9, Ground floor, Raheja Classic Complex, Phase D, Lokhandwala, Shastri Nagar, Andheri west.